Born in Seville in the 90s, I always had a special concern for drawing, both what I saw and what I imagined. 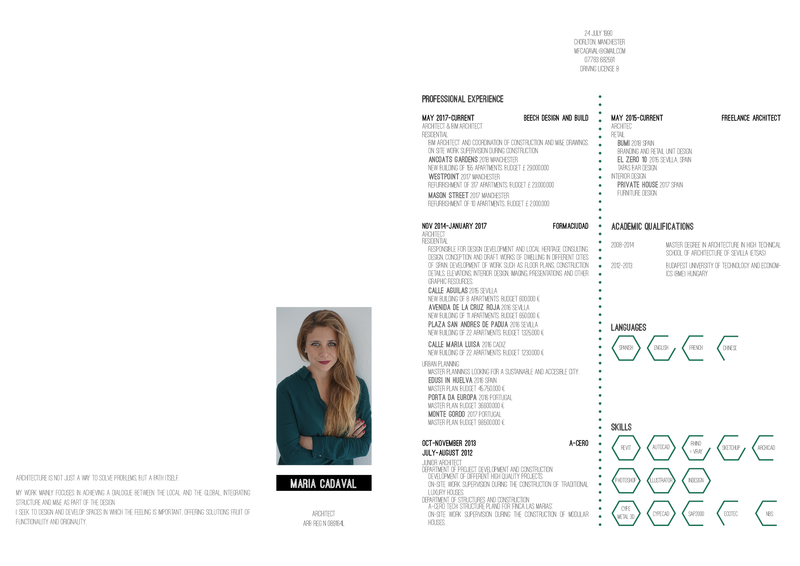 Architect by the Higher Technical School of Architecture of Seville (ETSAS), I completed my training in Budapest, Hungary. Where I discovered new cultures and had the opportunity to learn to use different drawing and design tools. From Manchester, I complement my work as an architect with graphic design, illustration and engravings, among other plastic arts. My work focuses on building a dialogue between the local and the global, integrating the roots of the place with new focus techniques. Therefore, every time I have the opportunity, I take the opportunity to travel and meet new cultures. I seek in this way that my work is more and more responsible with the environment and with society. I consider myself a person with many interests over a broad range of disciplines and these interests inspire me when it comes to creating architecture. I seek to design and develop spaces in which the image is important, offering solutions fruit of functionality and originality. Nacida en Sevilla en la década de los 90, siempre tuve una especial inquietud por el dibujo, tanto de lo que veía como de lo que imaginaba. Arquitecta por la Escuela Técnica Superior de Arquitectura de Sevilla (ETSAS), completé mi formacion en Budapest, Hungría. Donde descubrí nuevas culturas y tuve la oportunidad de aprender a usar diferentes herramientas de dibujo y diseño. Desde Manchester, complemento mi trabajo como arquitecta con diseño gráfico, ilustración y grabados, entre otras artes plasticas. Mi trabajo se centra en construir un dia diálogo entre lo local y lo global, integrando las raíces del lugar con nuevas técnicas de enfoque. Por ello, cada vez que tengo la oportunidad, aprovecho para viajar y así conocer nuevas culturas. Busco de esta forma que mi trabajo sea cada vez mas responsable con el medio ambiente y con la sociedad.